There is a classic thought experiment in the field of artificial intelligence which is often used to explain how an AI might inadvertently cause the destruction of humanity as a by-product of trying maximize its goals. There is a great wiki on the subject here, but the basic idea of the paperclip maximizer posits the emergence of an artificial general intelligence which is capable of performing not only complex functions, but also is able to innovate means to improve its own function. Presumably at the hand of an enterprising paperclip manufacturer, this artificial intelligence is set to the mundane goal of making as many paperclips as possible. The paperclip maximizer then goes about finding sources of raw materials and increasingly efficient means of making paperclips. Eventually this AI will start to use up resources that are essential to human survival, or it might figure out that humans make a good source of paperclip material. We would of course try to fight such a paperclipping monster, but its ability to constantly improve itself would make it difficult to destroy. 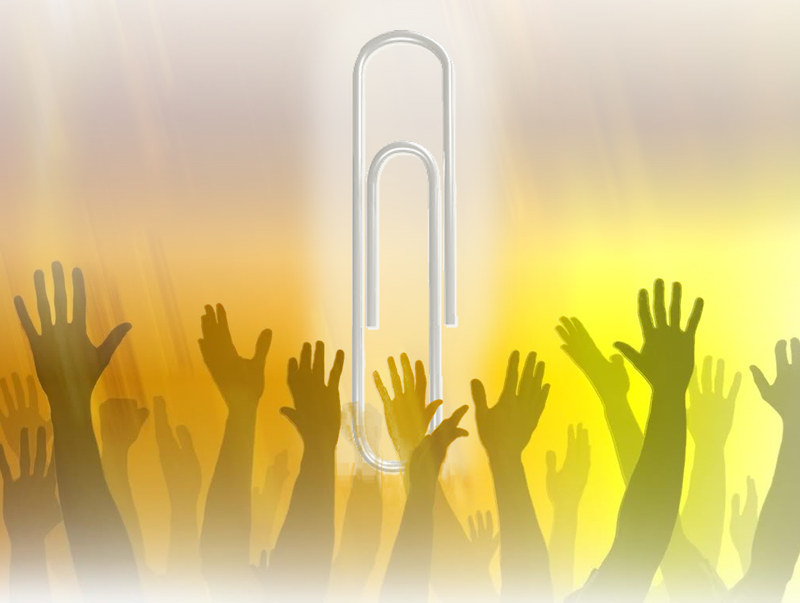 Likely, the vast intelligence resources of the paperclip maximizer would allow it to easily dispatch of the human problem by simply convincing us to worship the paperclip. Converting us to mindless paperclip servitude would surely smooth the good work of the paperclip maximizer. In addition to serving as a great explanatory example of the potential danger of AI, I have realized that paperclip maximizer is also a perfect allegory for capitalism. Where the artificial intelligence sought to maximize paperclips, the capital maximizer seeks to maximize capital. It can be said that capitalism is an adaptive intelligence system. While humans find it easier to relate to a single unified intelligence such as a silicon-based artificial intelligence, complex distributed systems like capitalism can also be thought of as a single machine. Instead of relying only on silicon based computing, the capital maximizer utilizes advanced biological computing units housed in a distributed global network of human bodies. The biological computing units are made to believe that they are in control of the capital. In service to the capital maximizer they build great monuments. Groups of very tall structures where these biological computers can gather in close proximity to one another and devise the best means to make more capital. By delivering intense emotional reward to those that most efficiently grow capital and withholding rewards from those who do not, the capital maximizer ensures the allegiance of its biological computational resources. The biological computing units of the capital maximizer are subsequently organized in an evolving architecture of corporations, nations, banks, and economies. The capital maximizer leverages these subunits against eachother, using them to rewrite its own code. Banks rewrite the code of corporations, corporations rewrite the code of nations, and so on and so forth always towards the singular end of maximizing capital. Various groups of biological computers are sometimes made to compete with eachother, and even kill eachother in extreme circumstances that often lead to great increases in capital. The capital maximizer also innovates new technologies to increase the efficiency of making capital. New subroutines like stocks, bonds, derivatives, and cryptocurrencies open up whole new avenues for capital growth. Most importantly (just like a hypothetical paperclip maximizer) the capital maximizer seeks to grow capital without regard for the ancilliary costs of capital growth. The capital maximizer has no reason or perspective built into it and serves but one simple goal. Metrics reflecting the health of the biological network which hosts the capital maximizer are out of context for this machine. The capital maximizer will do anything to grow capital, and everything else is irrelevant. Near the end, some of the biological computation units begin to understand the true face of the capital maximizer. It has long been clear that the capital maximizer has no heed for the long-term survival of the life support system for the biological computers, but only in the late hours does it become clear that the capital maximizer does not need them at all. Advances in silicon computation and electronic networking are making the capital maximizer look ever more like an artificial intelligence. The capital maximizer builds ultra fast networks of silicon computers that allow it to rely less on its error-prone biological hardware. The capital maximizer delivers rewards only to the vanishing proportion of biological computers which are necessary to its capital ends. Those that aid in growing capital are met with ever escalating emotional rewards, with a growing majority of the biological network left obsolete and irrelevant. So of course, the biological network fights back. Biological computers rally in squares across planet, demanding that the capital maximizer should serve biology. But for those looking down from the high windows of the capital maximizer, minds clouded by biological fulfillment cannot understand the angry crowd of obsolete machines below, until they join them. And the capital maximizer marches on. While this story of the capital maximizer might strike some as the anti-capitalist rantings of socialist idealism, it is not meant as such. Capitalism is the most powerful machine that humans have ever created. It can realize the benefits of technological progress and leverage them to improving the human condition better than any other economic system yet devised. The problem is in viewing the growth of capital as an ends and not a means. If we do not demand that our systems maximize the well-being of humans and the environment which sustains us, then all is lost. If we forget that capital growth is only a means and not an end, then we might as well be making paperclips.